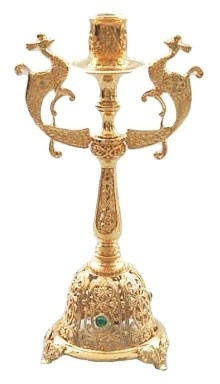 If you need ornate brass candle stands for the Altar Table of your church or for home use, look no further. 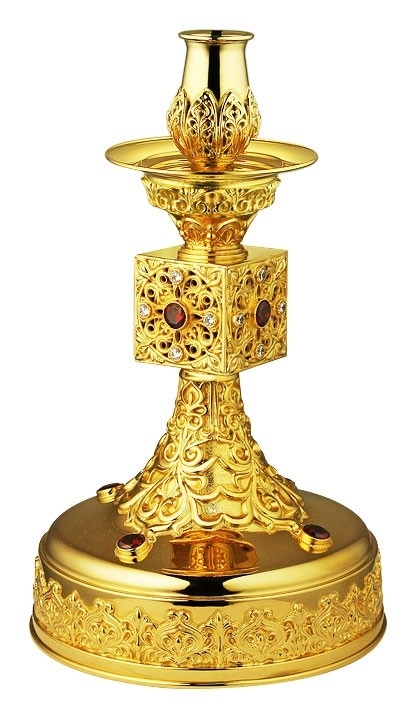 Istok Church Supplies carries an extensive collection of richly decorated candle stands in a variety of sizes, traditional styles and finishes. 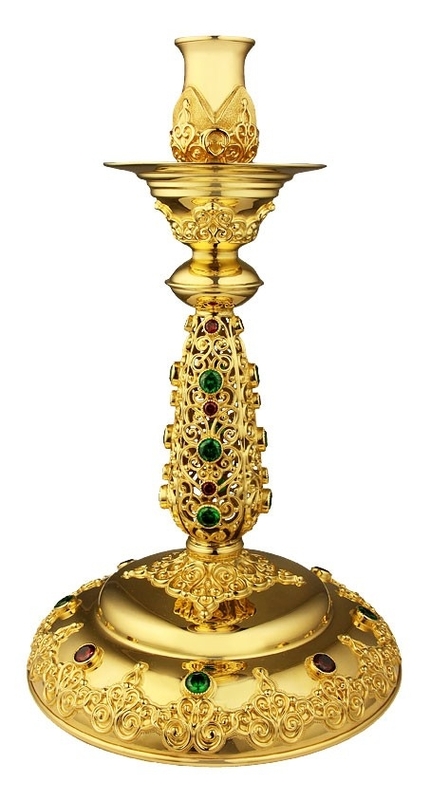 Our Altar Table candle stands are fabricated from high quality brass which is hand cast by our experienced craftsmen in Europe. We have Altar Table candle stands that can hold one, two, three or four candles. Most of them are accentuated with gold gilding, silver gilding or nickel gilding incorporated by a special process of galvanization. This gives them a long-lasting attractive appearance and makes them easy to care for. 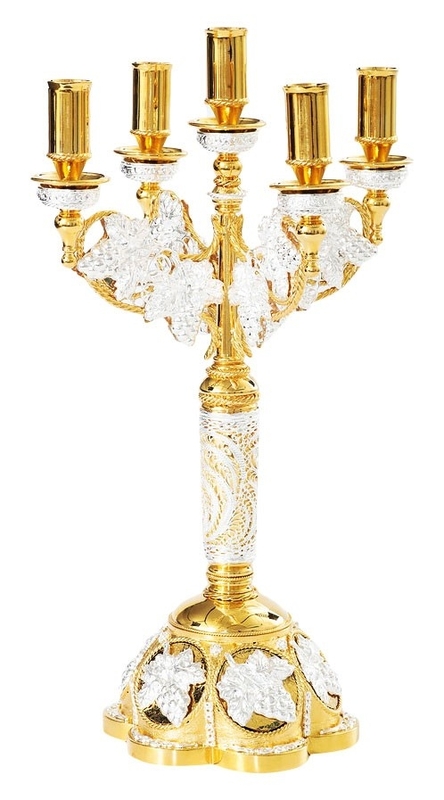 We also have solid brass candle stands with blackening effects and colorful jewelry candle stands featuring exquisite enamel work and high quality phianite stones. Tall or short, simple or intricately carved, you can find the Altar Table candle stands of your choice in our excellent collection. Whether it is see-through floral patterns or magnificent etchings that catch your eye, you can be assured of quality because our craftsmen are masters at executing every single detail to perfection. 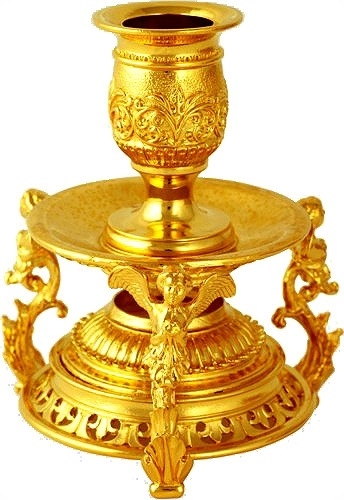 Many of the designs replicate the grandeur of brass candle sticks that were used in earlier times and hence make worthy additions to the Altar Table of an Orthodox Christian church. 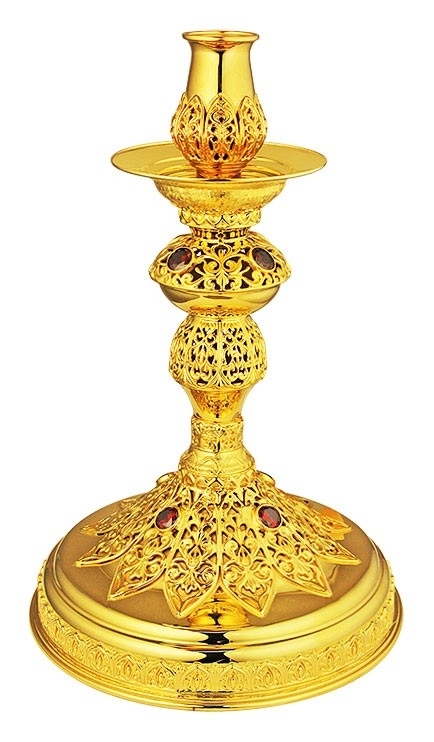 Prices of our decorative brass candle sticks range from under thirty dollars to over six thousand dollars – so you’re sure to find something suitable for your home or church. We offer amazing savings on these products to make them more affordable to Orthodox Christian communities around the world. Customers can review various product details such as size, weight and inner diameter before making a purchase decision. We offer a smooth browsing experience, easy order placement and secure payment channels to ensure customer satisfaction. Our altar table candle stands are offered with special packaging for long-term protection. Order now from wherever you are!